Wausau Estate Planning Lawyer - Crooks, Low & Connell, S.C. 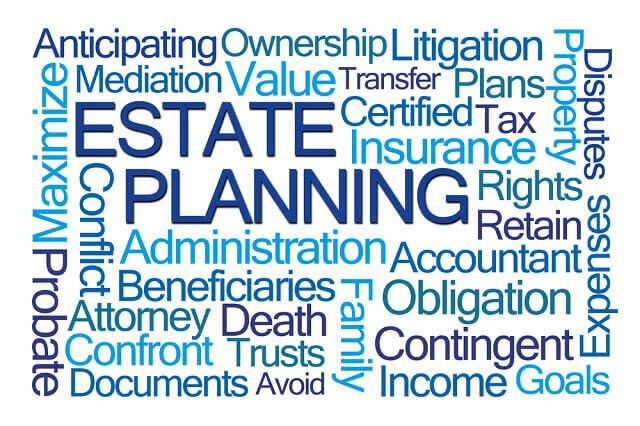 If you are thinking about putting together a will, or if you have questions about trusts or powers of attorney, an experienced estate planning lawyer will be able to help you weigh your options and draft the documents necessary to create a comprehensive estate plan. There are several considerations that go into creating an estate plan in Wisconsin, and it is important to carefully weigh all of your options before making any decisions that will affect you and your loved ones’ future. 1. It is Never Too Early to Create an Estate Plan. While people often tend to think of creating an estate plan as something they need to do when they “get older,” the reality is that it is never too early to put an estate plan in place. Creating an estate plan has numerous important benefits, from avoiding unnecessary costs in probate to helping your loved ones make difficult decisions in the event of an unexpected illness or accident. 2. It is Never Too Late to Create an Estate Plan. Importantly, it is never too late to create an estate plan, either. In fact, as you get older and face challenging circumstances (or the possibility of challenging circumstances), it becomes even more essential to plan for the situations that lie ahead. 3. Consider Your Options for Avoiding the Probate Process. When planning your estate, it can often be beneficial to try to avoid the probate process as much as possible. Probate is the formal legal process used to administer someone’s estate after death. Probate can be complex, time-consuming, and expensive, and as a result many people choose to use trusts and other estate planning documents to bypass the process. 4. Estate Planning is About More than Just “Who Gets What” After You Die. Who will manage your finances if you become unable to do so? Who will make important medical decisions on your behalf? Are there any medical decisions you want to control, even if you are unable to express your wishes when the time comes? 5. Create an Estate Plan that is Personal to You. While online services advertise “cheap” estate plans and tell you that you can simply fill in a few forms and then print out a will, the reality is that creating an estate plan should be a measured, individualized process. The documents you need will depend heavily on your personal circumstances, and a “one-size-fits-all” approach will rarely be in your best interests. To make sure your estate plan does what it is supposed to (and does not raise more questions than it answers), you should take the time to make informed decisions and craft a plan that accurately reflects your final wishes. If you have questions about estate planning, we invite you to contact us for an initial consultation. To speak with an expert attorney in confidence, call Crooks, Low & Connell, S.C. at (715) 842-2291 or send us an email today.